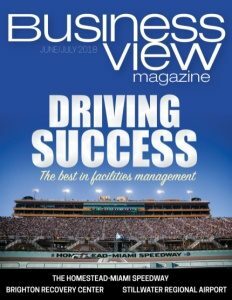 Business View Magazine interviews Liz Banker, owner of Shore Solutions, as part of our focus on best business practices of women-owned businesses. What Banker also saw as she pursued her new career, and which troubled her, was an industry wherein some players were cutting corners to increase profits. “How can you serve our heroes, in the best country in the world, and not feel a moral obligation to serve them with integrity,” she wondered at the time. “It was at that moment, I knew I wanted to start my own company,” she recounts. 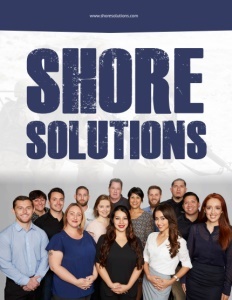 In the beginning of 2012, just one month after a company called Shore Solutions opened its doors for business, Banker was hired as Vice President of Operations. The company specialized in military, federal, and state sales, and provided a wide assortment of products to its clients, including: Tactical, Industrial/MRO (Maintenance, Repair & Operations); Safety/PPE (Personal Protective Equipment); Storage/Warehousing; Heavy Machinery/Construction Equipment; Shipboard Items; Food Service; and Furniture and Office Supplies. 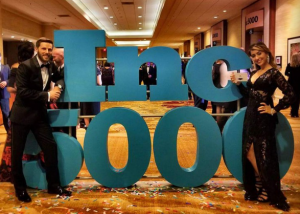 From 2012 to 2015, Shore Solutions grew from $500k to over $7 million in revenue. By the end of 2015, Banker had concluded that, though the company had been successful thus far, it needed a serious makeover to take it to the next level. “Shore had done so well over the past several years, but without a total shift in ownership, I knew that it would not continue on its path of success,” she explains. “We lacked passion and integrity and I knew these were vital for Shore to reach its full potential.” So Banker decided to offer a buyout plan to the current CEO, which he accepted, and she became the sole owner of the firm. Anticipating a spike in business, the company recently invested in new software that further makes the procurement process easier for both Shore Solutions, as well as its military customers who require strict accountability and faultless financial records. “This software allows us to track, record, report, and project for end users to help them be better equipped for requirements and inspection,” Banker relates. 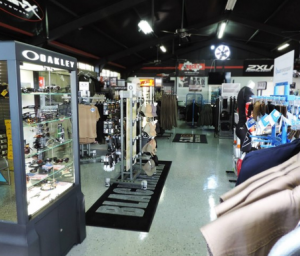 ROCKY Boots is a world leader in rugged outdoor and occupational footwear. Nearly 3,000 retail and catalog outlets carry ROCKY footwear. The ROCKY goal to provide quality outdoor footwear has not changed since the doors opened 70 years ago.